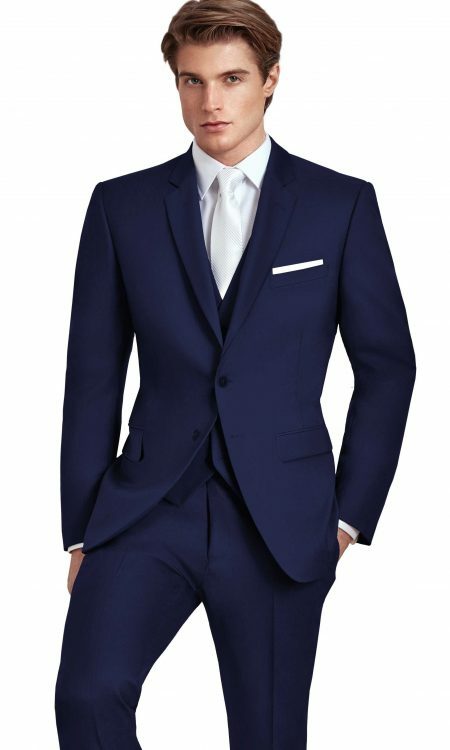 Navy, two-button, side-vented suit jacket in exceptionally soft Super 120’s wool. 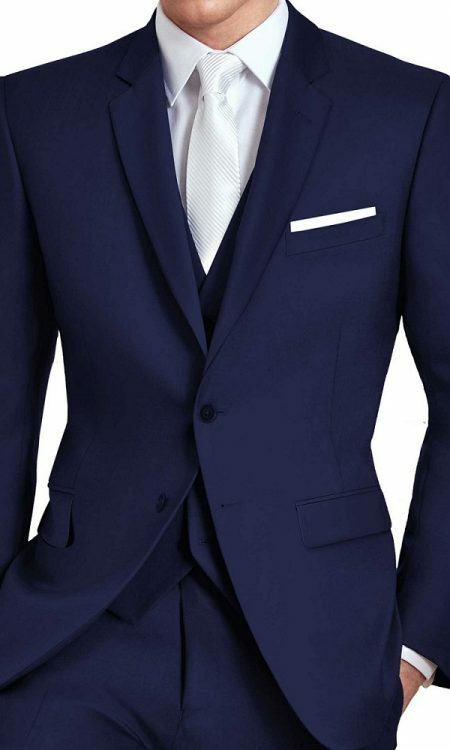 Notch lapels and double besom pockets. Superior comfort with 2” stretch arm gussets. 30.5” coat length. 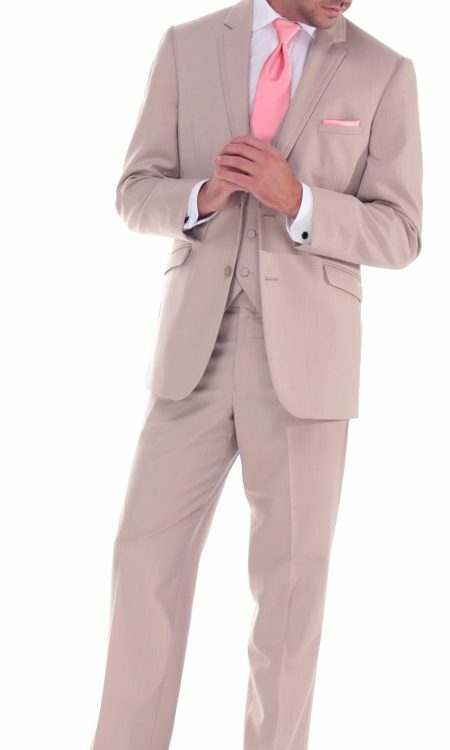 Tan, two-button, side-vented suit jacket. 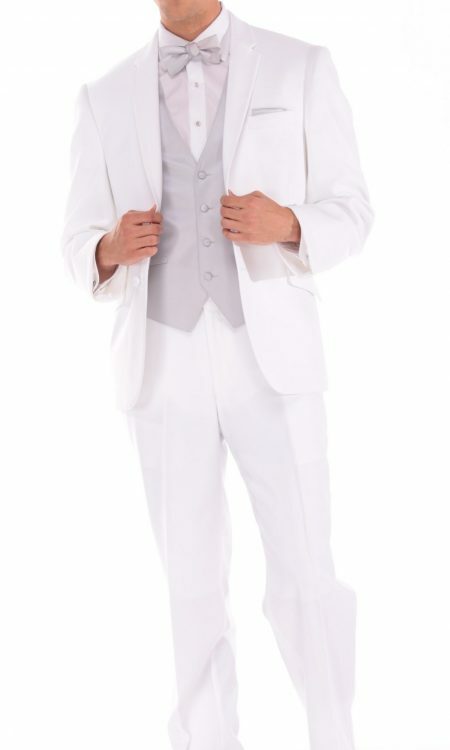 Self-inset trim notch lapel with self-collar. Self-fabric flap pockets. 31.5” coat length.